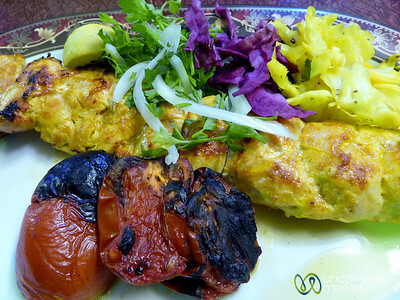 Chicken kebab in Esfahan, Iran. 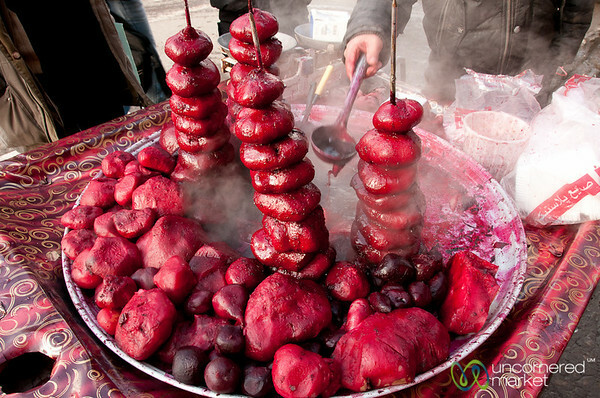 Street food beets in Ardabil, Iran. 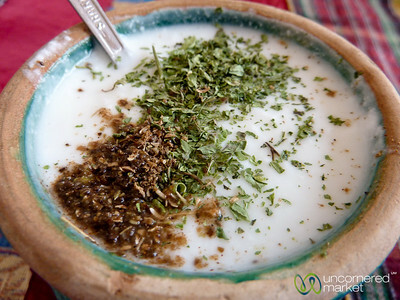 Iranian plain yogurt (doogh) with spices on top. Yazd, Iran. 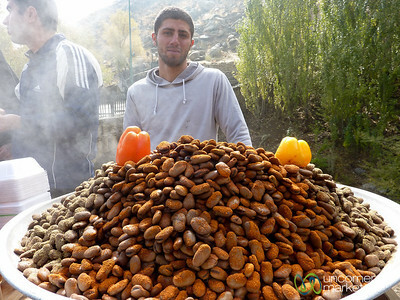 A big pile of steamed & spiced fava beans in the mountains near Kermanshah, Iran. 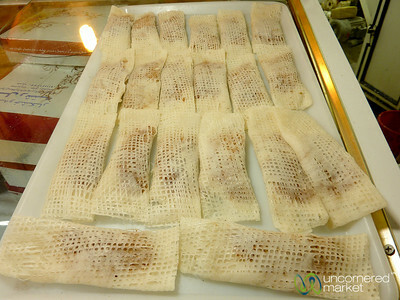 Delicious with some vinegar and red pepper. 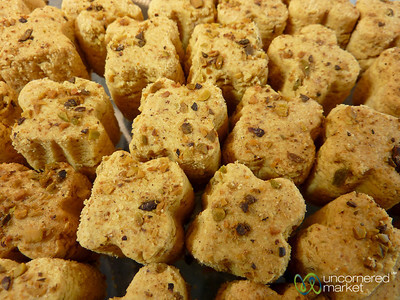 These cookies are stuffed with a cinnamon, sugar and walnut filling. Just delicious! 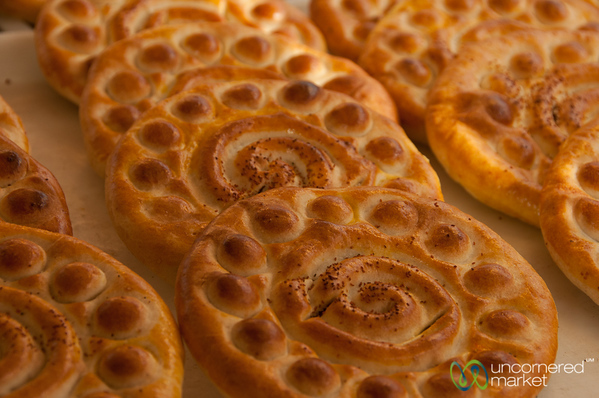 They are made in the town of Fuman in Western Iran. 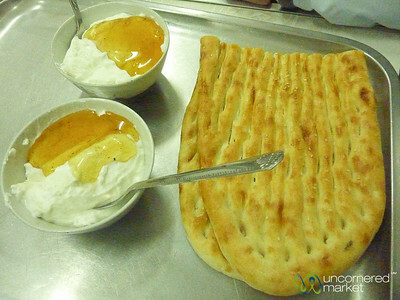 Gol Reshte desserts in Rasht, Iran. 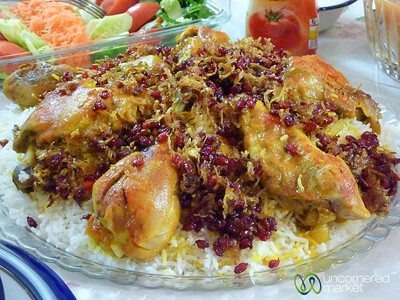 Persian rice with chicken and berberries in Tabriz, Iran. 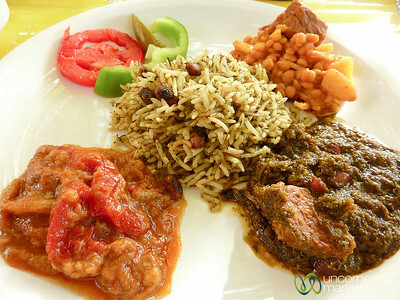 Different types of khoresht (stews) - eggplant with tomato, spinach with meat and lentils served with dill and bean rice. 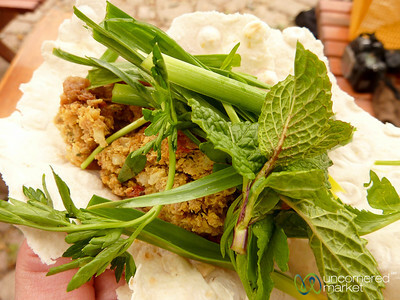 Delicious lunch outside of Shiraz, Iran. 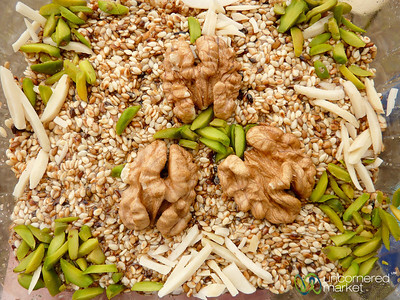 Halvah made with sesame, pistachios and walnuts. Masuleh, Iran. 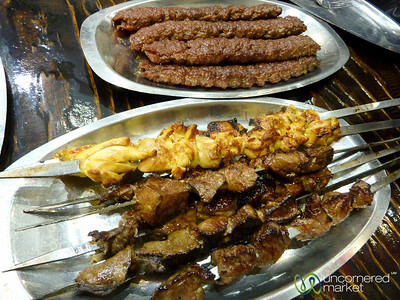 Kebabs for dinner in Rasht, Iran. 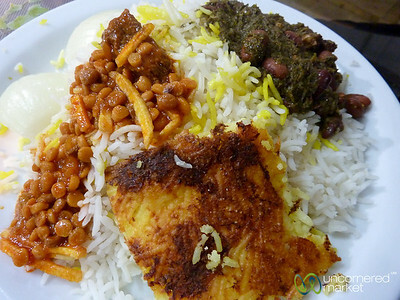 A big pile of rice with lentil and vegetable stews, typical Iranian dishes. 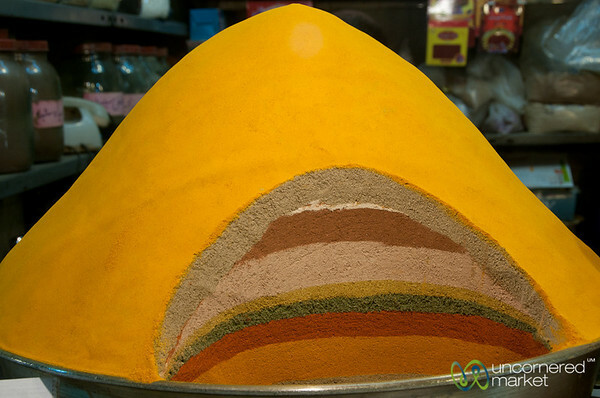 Tehran, Iran. 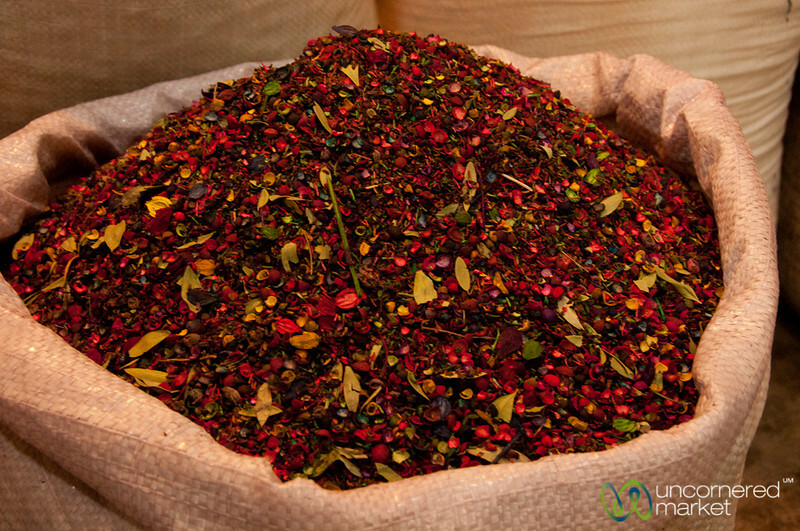 Iranian herbal tea in Tabriz, Iran. 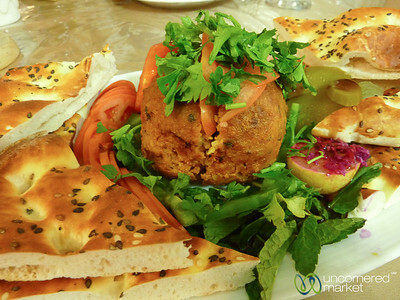 Tabriz Kofte and flatbread in Tabriz, Iran. 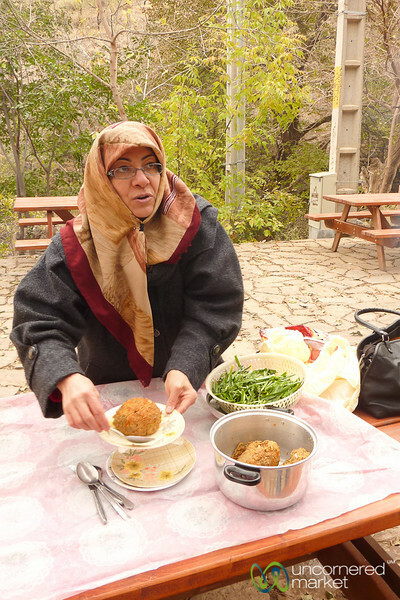 A picnic of Tabriz kofte at St. Stephanos church near Jolfa, Iran. 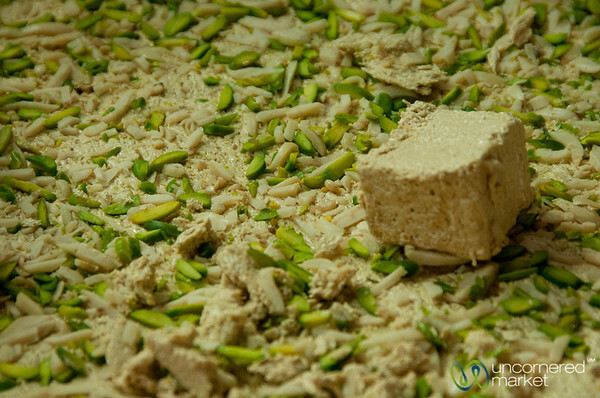 Pistachio halva at the Tabriz Market in Iran. 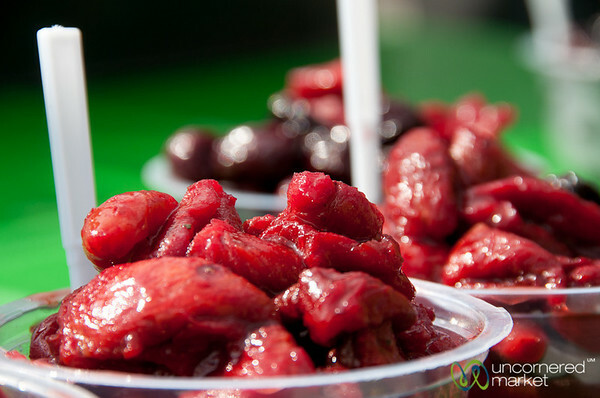 Bowls of sour cherries and other fruit in the mountains at Ganjnameh near Hamadan, Iran.